Lightweight race saddle with carbon fibre rails and carbonfibre base. Superlight foam padding covered by real leather. Lightweight race saddle with cromo rails and nylon fibre base. Foam padding covered by synthetic leather material. Long, flat and elegant with twinflex technology to allow extra comfort in the pressure zones. An ultra light saddle with super strong braided carbon rails. The new Carbon Thermoplastic Composite shell provides the best performance with optimized stiffness-to-weight construction. Fiberglass Thermoplastic Composite base provides the best support with optimized stiffness to-weight contruction. Those with less flexibility are not able to easily accomplish the high performance cycling position. To reach this position the pelvis rotates forward dramatically forcing the hips back. In this position, the rider's weight is directed to the genital area. The ability to flex your spine may vary with your fitness level. You adjust for comfort interchangeably, sometimes relying on the sit bones or sometimes relying on the genital area to manage the body's weight or when changing hand positions on the tops, hoods and drops. Those with more flexibility bend to a greater degree at the lower part of the spine. In this position, the sit bones manage most of the body's weight with a little pressure on the genital area. This stylish womens performance saddle has it all! The Volante is anatomically designed for the female rider with a shorter nose section and slightly wider base, ensuring that comfort is second to none. 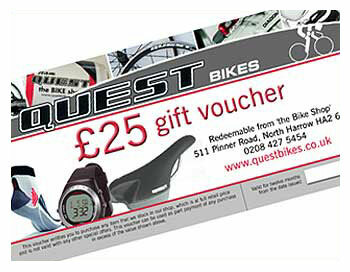 E-Memory technology provides unparalleled support for the rider who never quits. The Intake Air Flow System promotes air circulation and minimises pressure while increasing blood flow in those critical areas. Kevlar corners and scuff guards shield the saddle from knocks and bumps. 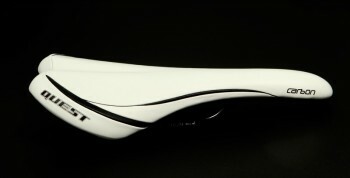 Selle Italia has made available to everyone the original team edition saddles used by all professional riders. These saddles are made exactly like the ones used by road pros as Cancellara, Vinokourouv, Savoldelli, Valverde, Schumacher and mountain bikers as Julien Absalon or Sabine Spitz, just to name a few riders out of those 600 that ride on Selle Italia saddle. The saddle base has been modified for the specific use of the pro riders (slightly stiffer) while the padding used is the perfect fit, a special self modeling foam that adapts to the body shape. The LORICA cover guarantees a better waterproof resistance and higher durability; just what the prod demand as they ride the same saddle sometimes up to 38.000 km / year. Extremely light(45 g)very strong and durable ø 7 mm. B grade Titanium tube "Made in the USA"
Ultra light (125gms) saddle with 7mm braided carbon fibre rails and carbon saddle shell and leather covering. Ultra light (165gms) saddle with Vanox rails and carbon saddle shell with leather covering. XP denotes extra padding. The saddle base has been modified for the specific use of the pro riders (slightly stiffer) while the padding used is the ?perfect fit?, a special self modeling foam that adapts to the body shape. Legends are left untouched...at most they are refined. The first of the 'lightweights', and among the most appreciated worldwide, it is now offered in its renewed guise, while preserving its comfort, seating and unmistakable shape. 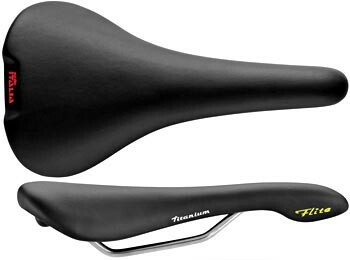 With its streamlined styling and titanium rail, the revolutionary Flite saddle gives unmatched performance on or off road. With the Transam cut-out and Gel Flow inserts. Engineered with road cycling performance in mind, the Squadra is the perfect saddle for the sporting road cyclist. Hand finished with a durable micro fibre cover and suspended CroMoly rails for enhanced ride comfort. The dynamic yet neutral styling is designed to compliment the looks of any road bike.